Atlanta, GA: Bad Indian is a comedy web series for everyone whose life hasn’t quite met their expectations. Or their parents’. And definitely not their aunties’, says the description on its YouTube trailer. Created by Atlanta-based Janaki Tambe, the series takes a comedic look at the ‘bad Indians’- the Indians who aren’t doctors or heads of IT companies or winners of spelling bees. The show airs every Wednesday on YouTube. 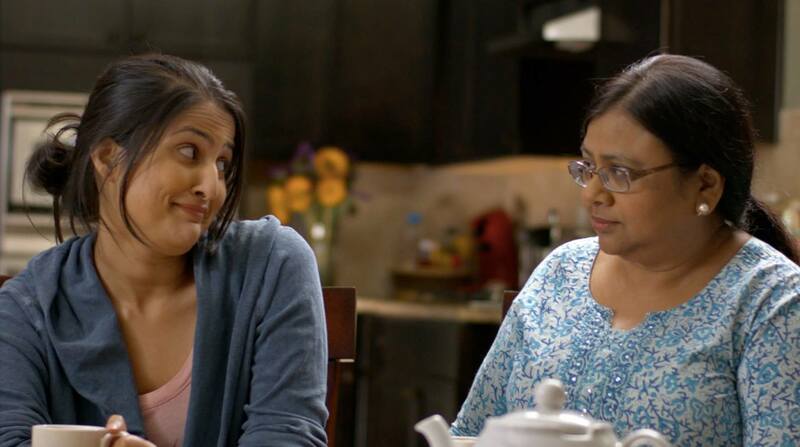 Just six episodes long, “Bad Indian” chronicles the life of a fictionalized version of Tambe, who is laid off from her job and forced to move back in with her parents in Atlanta, reports American Bazaar. Witnessing their friends’ children getting married, having kids, getting cushy jobs and being all-around fantastic, puts Tambe’s character at odds with her own parents, often to hilarious results. Topics such as arranged marriages, and the intersection of traditionalism versus modernity are touched upon often and entertainingly. In a brief interview with NRI Pulse, Tambe talks about creating the ‘Bad Indian’. I really enjoy writing and thought it would be fun to see something I wrote translated onto screen. So I wrote something I would want to watch, something personal that I thought a lot of other First-Generation Americans might be able to relate to, and scaled it down to something I could produce and distribute myself. The response has mostly very supportive. There have been some negative reviews as well, but that’s useful too, it helps me learn more about who the audience is or isn’t. The hardest part is just being able to press on when things don’t go your way. Whenever you do a project like this, especially as a first-timer, you’re going to make a lot of mistakes, and the end product is going to be open to a lot of criticism. You have to expect that and not let it affect your work, especially when you know your name and face are going to be attached to it. I’m a little critical, and of course see the mistakes I made and the things I should have done differently, but I’m proud of it. I worked with some really talented people, and they helped me create something new, and I try and focus on that. Whenever someone says they could really relate to the story, or it made them laugh, I realize it was worth it. I’m still learning a lot from building an online audience, and getting their feedback. As a writer, it’s really interesting to see what stories resonate with people, and what makes people laugh, so I’ll spend some more time investigating and exploring that. And of course, I’m always writing and working on something new.